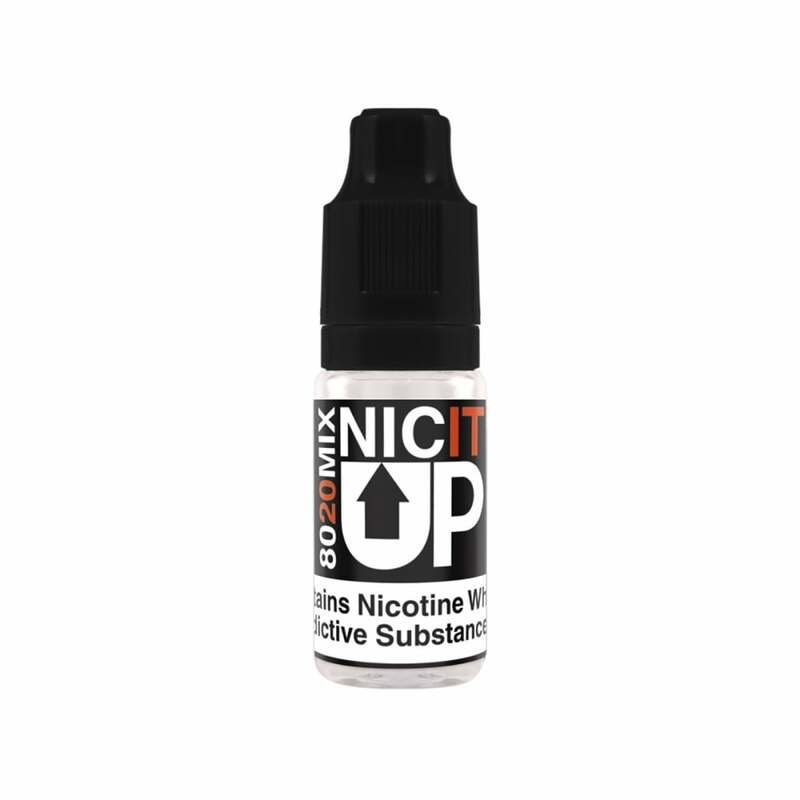 Nicit Up is a nicotine shot to convert your favourite nicotine-free e-liquid into one containing nicotine. Just add to your nicotine-free liquid of choice and give it a nicotine boost right away! A 10ml, 18mg bottle of Nicit Up added to a 50ml nicotine-free e-liquid will create 60ml of 3mg liquid. Nicit Up has a 80% VG formula which is best used with e-liquids of a similar consistency. Very good to add emphasis to flavour and strength. Price is great, and it lasts a while. Thankyou. Gets the job done, and as to use. Great little product- turned my DMC 80VG 50ml Nic-Free into 60ml of 3mg Nicotine Juice. Easy to use, and very simple to get the correct mix !! Does exactly as it says, pour it into e-liquid to increase nicotine content! Absolute must for larger bottles of e-liquid.